Performers can wear it much longer than they used to, and do more interaction with the audience. 3. Lifelike color: The skin of the new material can be designed and processed more realistic and vivid manually. 4. 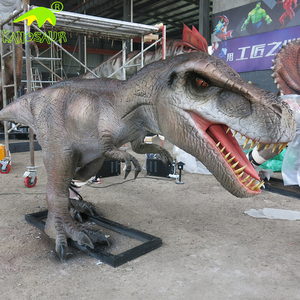 More functions: The new type dinosaur costume has two additional function: Water spray & smoke spray. Color Realistic or Customized Power 200-1000W Control mode Infrared sensor / remote control / coin box / botton box/ body language control ,etc. Detailed Images Basic Material for Animatonic items Inside: Steel Frame Motors&Reducer-Mechanical structure Outside: Sponge Foam Silicone Rubber Pigment Movements Standard: Mouth open and close synchronized with sound Eyes Blink Mouth open&close Head Up&Down Neck rotating Forelimbs moving Stomach breathing Body move Tail swaying Additional : Spray Water/smoke Walking Eyes lightening Voice/Gesture Control Complete Service With your coordinatie and deadline,we can offer professional park design and products list for you. Complete service means from design to openning ceremony! 2.On-site Installation:We still send engineers to customer's place to install dinosaurs. For we have special materials on the skin of the Dinosaurs, which pretect them from water, sunshine etc. 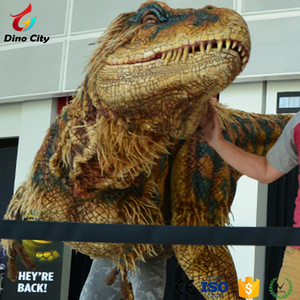 Based on 20 years technology & experience, we can provide any kind of dinosaurs/animals at any size, any appearance. Festival realistic barney dinosaur mascot costume Show legs. User Manual We have a Instruction in PDF , if you need, pls contact with me to get it. *We use hard foam to make the end of dinosaur tail. 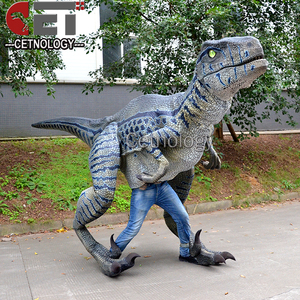 My-dino A barney the foam dinosaur costumes puppet for adults Welcome to enquire customized dinosaur costumes !! 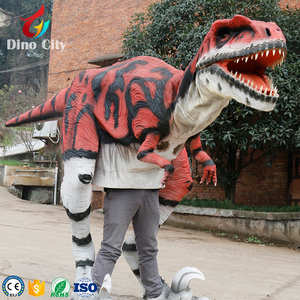 (MY DINO) is an integrated technology enterprise specializes in researching,designing,manufacturing and exporting animatronics /pneumatic/static dinosaurs,animals robots and plant;dinosaur and animal fossil replica; Costumes; Dinosaur and animal ride; Sculpture; Amusement park related customized products. 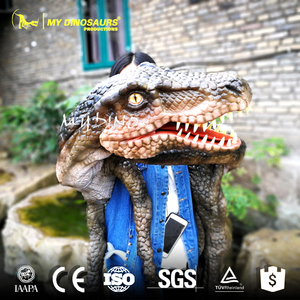 Our products are high lifelike appearance, flexible movements, multi-function, vivid sounds, realistic color, durable and reasonable price which are applicable to amusement park,adventure park,Jurassic theme park, natural history museum, science and technology museum,shopping mall, city square, resort, cinema. 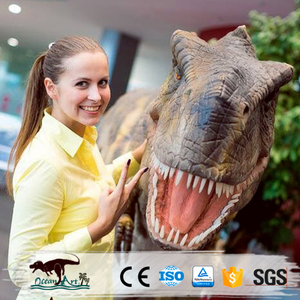 2013 Dinosaur show and Jurassic park equipment of barney the dinosaur : Barney the dinosaurs are suitable for prehistoric museum, science & technology museum, amusement park, dinosaur theme park, large size mall, city playground and holiday resort etc, as well as some big hotel. 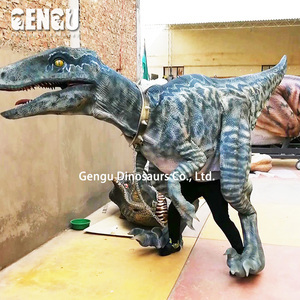 Animatronic dinos China specification: Brand Dragon Culture Model Number LT-B413 Type Dinosaur model Size ordinary manufactured size Color Choosed by our customers or we give you suggestion in different environment Materials Steel frame, silicon rubber Usages Museum,exhibition,outdoor,indoor,school,dinopark,theme park,amusement park,mall, commercial activities,ect. 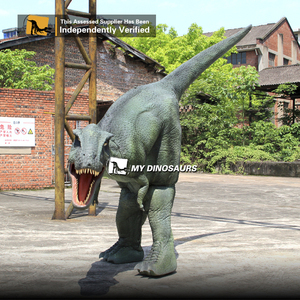 Our dinosaur exhibition home and abroad: Perfect design for our clients: Professional certificate can make our client in overseas trust us more: Our products win a high admiration and is widely trusted at home and abroad . Watch dinosaurs walk, hear the roar! Alibaba.com offers 630 barney the dinosaur products. About 88% of these are other amusement park products, 2% are stuffed & plush animal, and 1% are other toys & hobbies. A wide variety of barney the dinosaur options are available to you, such as free samples. There are 630 barney the dinosaur suppliers, mainly located in Asia. The top supplying country is China (Mainland), which supply 100% of barney the dinosaur respectively. Barney the dinosaur products are most popular in North America, Domestic Market, and Eastern Europe. You can ensure product safety by selecting from certified suppliers, including 529 with ISO9001, 25 with Other certification.